Kealia Pond is a refuge for native birds. 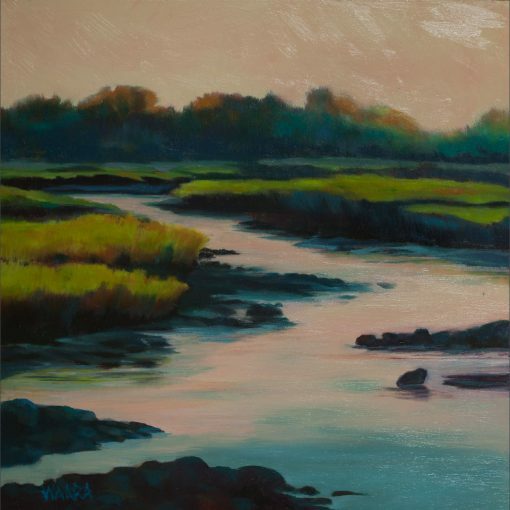 This 10×10 oil painting was inspired by a visit at the end of a workday. I was hoping to capture the last of the sun before it slipped behind the west Maui mountains. 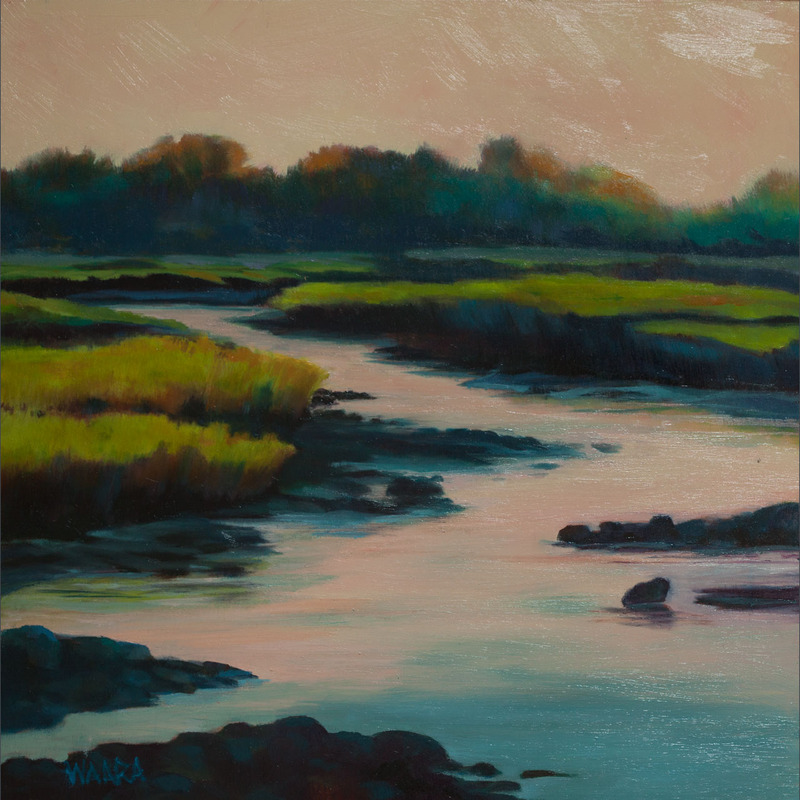 It was accepted into the Hui No’eau Visual Arts Center juried exhibition. It has sold and is now in a private collection.